BEST PONTOON VALUE ON THE WATER! THE BENTLEY 220 NAVIGATOR!! FREE UPGRADE TO AN F115 YAMAHA!!! FREE ANTIFOULING BOTTOM PAINT!! 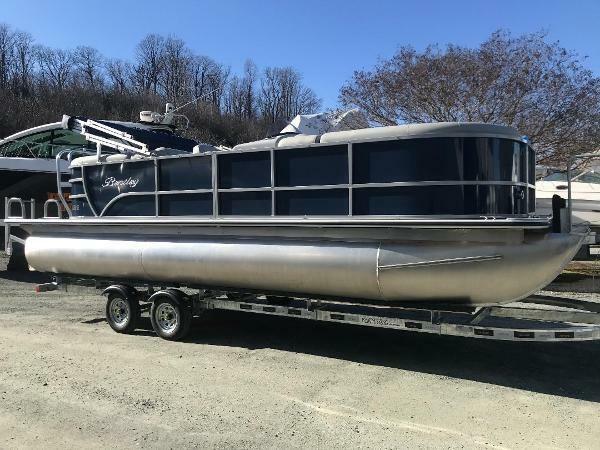 Navy Blue panel color, SE perforated Gray interior with, Saltwater package, Anodized Rails, Sacrificial Anodes, Solid Keels, 10′ Bimini Top, Ski Tow Bar, and Gray Seagrass Flooring.